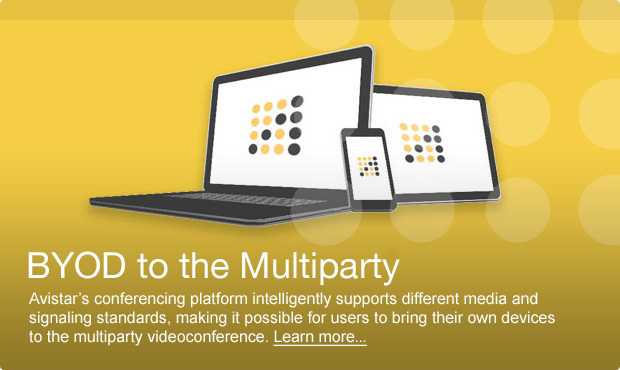 Enterprise videoconferencing is smart… Avistar makes it smarter. 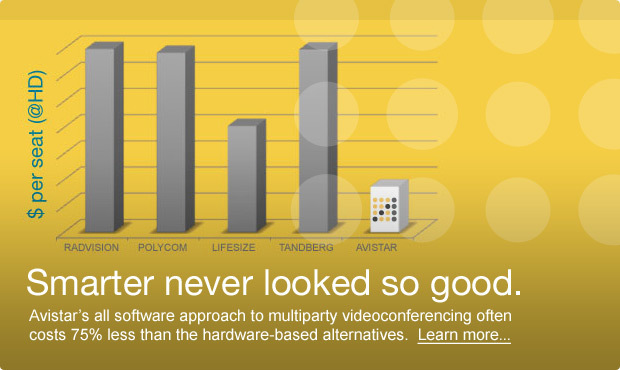 Avistar’s unique software-only and fully componentized enterprise videoconferencing suite of products delivers the lowest cost, most flexible and reliable videoconferencing experience available anywhere. Avistar’s all software partner-ready communications and collaboration platform is the ideal fit for technology developers looking to provide videoconferencing capabilities with their solutions. 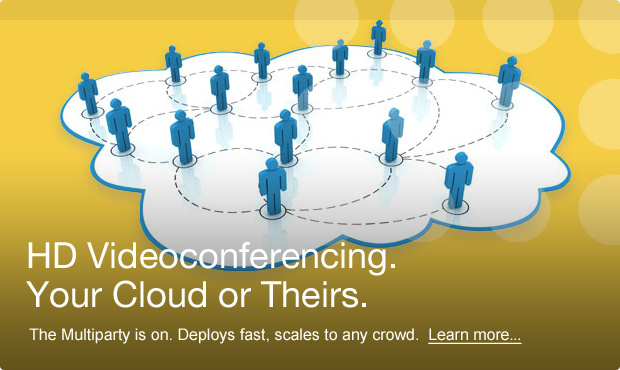 Avistar knows more than desktop videoconferencing. We’re smart about the industries we serve too, so we make sure our software works the way you do. Avistar ConnectWare™ delivers a proven, cloud based voice and videoconferencing solution to technology, OEM and business partners, making videoconferencing available anywhere, to anyone on any device. 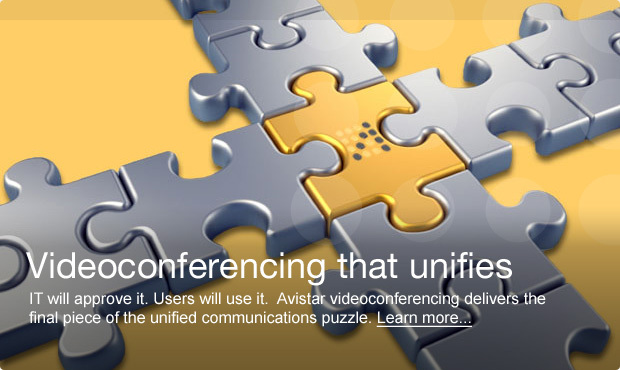 Avistar ConnectWare™ increases the value and productivity of any desktop and UC solution via an interoperable cloud based voice and videoconferecing service. 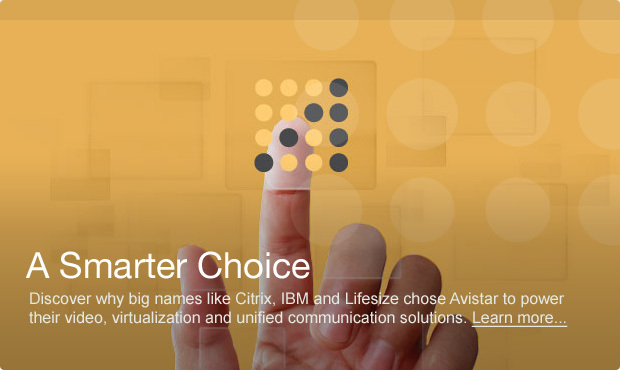 Avistar ConnectWare™ unlocks the power and value of any mobile communications application by delivering seamless multiparty voice and videoconferencing via the cloud. Avistar ConnectWare™ can increase the value of any business application by providing an industry leading voice and videconferencing experience within your solution. Avistar ConnectWare™ reduces the cost and complexity of voice and videoconferencing between any conference room solution, telepresence suite and executive office. Avistar ConnectWare™ delivers a proven, cloud based voice and videoconferencing solution to technology, OEM and business partners. Supporting your business communications requirements demands specialized knowledge, and no other provider delivers the depth of expertise of Avistar. With two decades of experience singularly focused on desktop videoconferencing, Avistar's comprehensive portfolio of support and training services will help you get the most from your investment in desktop videoconferencing. Designed to expand the capabilities of the Microsoft Lync platform..